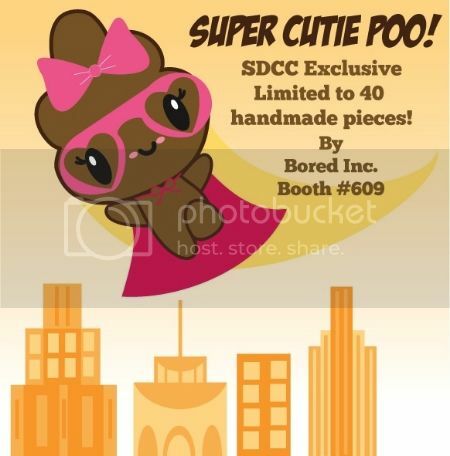 TokyoBunnie: Super Cutie Poo at SDCC! Super Cutie Poo at SDCC! 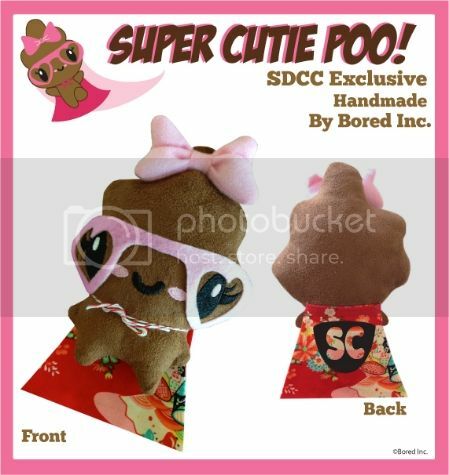 I am excited to announce that our Bored Inc. SDCC exclusive this year will be an adorable handmade Super Cutie Poo! With a heart mask and vintage fabric cape (fabric may vary), she's sure to fly straight into your loving arms! Limited to only 40 pieces total, 8 released per day, 1 per customer. Only $12 and comes with a superhero coloring page! See you soon, SDCC!